Augmented reality – we’ve all heard the term before, but was does it really mean? Augmented reality (AR) is a live, direct or indirect, view of a physical, real-world environment whose elements are augmented by computer-generated sensory input such as sound, video, graphics or GPS data. As a result, the technology functions by enhancing one’s current perception of reality. Imagine yourself holding your cell phone up to a storefront and information about the store hours, sales/promotions, etc., overlay the image of the store – all of the important information is at your fingertips before you walk through the store’s doors. It’s augmented reality that is already being utilized by different apps & software, so why not bring that technology into the advertising industry? Well, that day has come! While augmented reality alters the view of the real world as we see it today by adding visual cues into our perceived existing world, virtual reality (VR) disregards the real world and replaces it with a simulated “world”. Simply stated, true virtual reality completely blocks out the real world whereas augmented reality adds to the already existing real world. 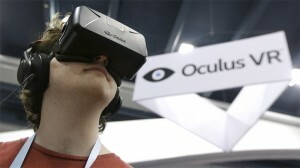 Facebook recently purchased Oculus VR for $2 billion dollars for their Oculus Rift technology – a new virtual reality headset that lets players step inside their favorite games and virtual worlds. Facebook plans to bring Oculus’ technology to verticals outside gaming, including communications, media and entertainment, education and other areas. Facebook’s plan could be something that potentially effects the advertising industry in the future, as well. 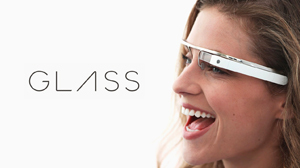 The most popular form of an AR product already exists: Google Glass, a head-mounted computer that people can wear like glasses. Users have said that Glass works well for taking pictures because you can verbally command Glass to snap photos instead of stopping to grab your camera. You can also quickly access directions and time (which pop up on the Glass screen upon command). Although this is new technology, the DOmedia team received the developer invite – something that we are particularly excited about due to the opportunities Glass could bring to the advertising industry. Augmented reality has been making its way into the out-of-home advertising industry as a way to elevate the customers experience during a brand’s marketing message. On top of making the consumer experience more exciting, campaigns utilizing the augmented reality hardware associated with the media systems (e.g., cameras, heat indicators, etc.) have the ability to track the demographic and impressions data of the audience. 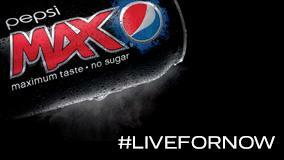 A great example of an exciting campaign using augmented reality as a path to capture audience attention is seen with Pepsi’s latest campaign in the UK, Unbelievable #LiveForNow. In the campaign, Pepsi engages its audience at bus shelters with video-enabled augmented reality. Nothing says “Unbelievable feats and experiences created for you by Pepsi Max” more than the thought of a tiger coming towards you or a meteor crashing to earth just outside of the bus shelter! Check out the video below to see the mind-blowing augmented reality campaign by Pepsi.